India is now the diabetes capital of the world, and people seeking a cure for this condition online has never been higher. Once diagnosed, people are either on oral anti-diabetic medication or insulin for the rest of their lives. However, what you should know is that they can only help you manage the condition to avoid developing hyperglycemia or extremely high levels of blood glucose. Besides, these drugs can cause several side effects ranging from loss of appetite, indigestion, nausea and diarrhea to itchy skin, swollen hands and feet, a sore throat and fever. Considering the chronic nature of type 2 diabetes, it makes sense to explore herbal remedies that have traditionally been used in India to control this condition. All these herbal remedies are easily available and they can provide a simpler, more natural way of controlling diabetes without any unpleasant side effects. Although some people use these remedies in addition to their medication, it is important to remember that such a combination can trigger off a sudden, drastic drop of blood glucose levels that can be dangerous. Therefore, it is wise to speak to your doctor first. Here are details of five such herbal remedies that have shown promise of useful anti-diabetic activity, along with what is known of their mechanism of action. Soak the methi seeds in water overnight and drink this water and chew on the seeds first thing in the morning. 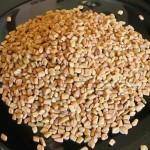 Place methi seeds in a skillet and dry roast using medium heat for about two minutes, with constant stirring. Allow the seeds to cool and then powder; add one teaspoon of this powder to hot or cold water and take once or twice in a day. Boil one cup of water and add 2 tablespoons of methi seeds, steep for about 10 minutes and then strain and consume the liquid. Do this twice every day to see a reduction of blood glucose levels. Select a green bitter gourd, slice it lengthwise, and scrape away the flesh to remove the seeds. Then add the vegetable to a blender and run it to obtain a juice. Drink one small glass of this juice first thing every morning. Take some pieces of dried bitter gourd, boil in one cup of water and consume this tea once or twice in a day. This tea is not as bitter as the fresh juice and easier to consume. 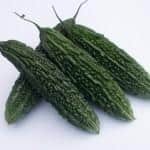 Cut a few slices of bitter gourd and add to stir-fry dishes, especially in combination with vegetables that have a sweetish taste of their own – this will help mask their bitter taste. 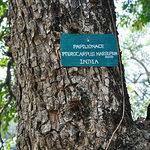 A deciduous tree that occurs widely in the Deccan peninsula, Pterocarpus marsupium of the Fabaceae family is considered especially useful in people with type 2 diabetes. Studies have found that pterocarpus extracts may be able to reduce the glucose absorption by the intestines, making it effective in diabetes type 2. This anti-diabetic action has also been noted in some clinical studies carried out on humans. Tip: Use a wooden glass made from the pterocarpus bark to store water overnight and drink the brownish-coloured water early the next morning. Replace the glass with a new one after about one month or whenever the water stops changing in colour. Immerse a piece of pterocarpus wood in a glass of drinking water at night and drink the water the next morning. The same piece of wood can be used for two or three days. As the name indicates, Gurmar is a climbing shrub and the leaves have been traditionally believed to be capable of destroying sugar. 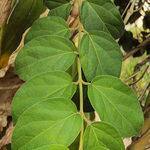 Gymnema leaves contain saponins and gymnemic acids that have anti-diabetic action. Studies have found that gymnemic acids show the ability to reduce the amount of sugar absorbed by the intestine during the process of digestion. 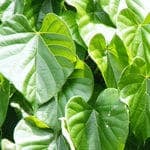 Chewing on a few leaves of gymnema can reduce your power to sense the sweetness of foods and this observation has led researchers to conclude that this remedy may play a role in suppressing appetite – an effect that is useful to diabetics who seek to control their dietary intake. In some studies, gymnema also appears to increase the amount of insulin secreted by the pancreas. Tip: Commercially available as tablets and capsules, gymnema may also be made into a tea by boiling a handful of dry leaves in a glass of water, along with some cardamom to mask the bitterness. Add about one teaspoon of gymnema leaf powder when preparing green tea and drink once or twice in a day. Extracts from the stem of this plant have been found to inhibit the activity of an enzyme called alpha glucosidase which is involved with the breakdown of glucose. This inhibition helps to delay the process of digestion of carbohydrates and therefore, glucose is absorbed much more slowly, an effect that is helpful in preventing hyperglycemia in diabetics. Tip: Wash and cut the fresh stem of a guduchi plant into thumb-sized pieces and store in water overnight. Mash the stems next morning and slowly drain out the water. Consume the starchy portion left at the bottom of the vessel, called sattva of guduchi. Alternatively, you can use the guduchi sattva capsules that are commercially available as per the recommended dosage. While there are several drugs available to treat diabetes, the consensus in the medical fraternity is that medication ought to be an addition to a disciplined diet management and regular exercise program. This applies to herbal drugs too – merely changing over to a herbal remedy is not a final solution; regulating your diet and exercising regularly are still key to the effective management of diabetes.